Happy Spring-Time! It is time to dust off those golf clubs, tune-up your golf skills and get started. These clinics will focus on a review of basic short game and full swing fundamentals. Each clinic will include full swing instruction as well as a short game skill. 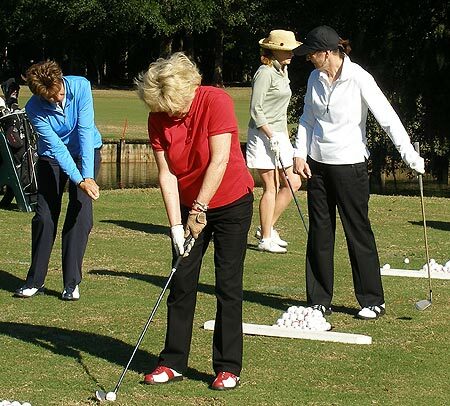 These clinics are recommended for women who have some playing experience or past instruction and want to get their golf season off to a good start. These clinics are not intended for beginners. Clinics consists of 1.5 hour sessions. Instruction reviewing the skills of putting, chipping, pitching, bunker play, and full swing. Ensure proper mechanics are being used per skill. Learn effective drills and practice techniques. Personal use of training aids.